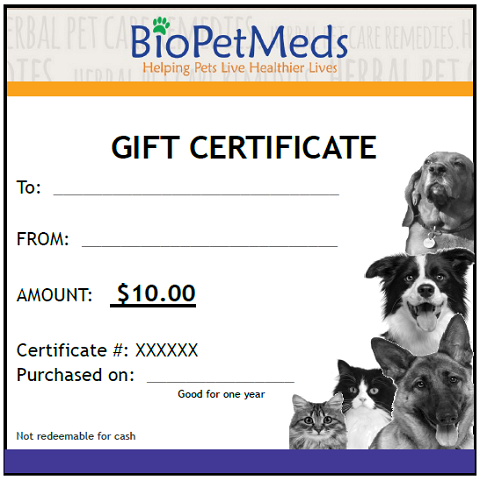 Give the gift of health to a pet! Each gift certificate has its own unique certificate # and has a one year expiry. The gift certificate will be emailed to you.